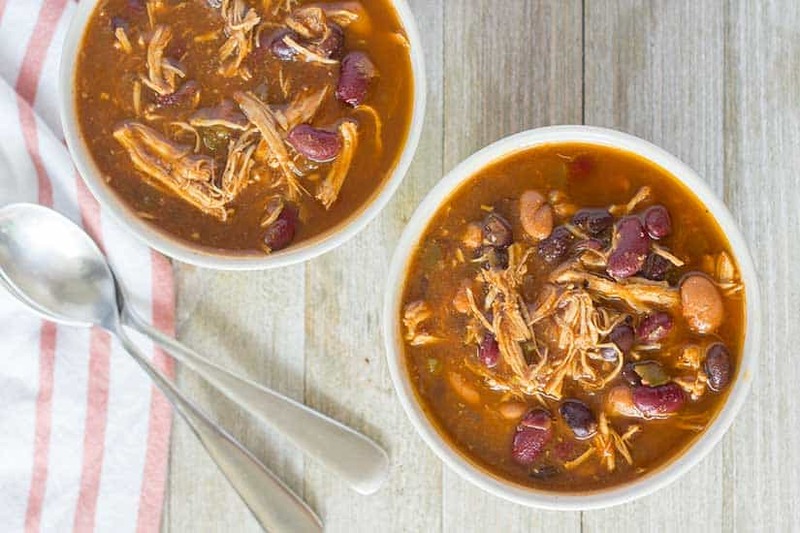 There’s nothing like a bowl of hot chicken chili on a cold night. 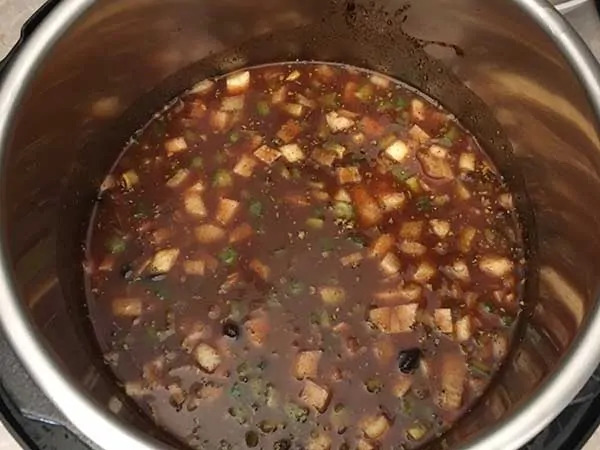 And, considering how delicious this is, you’d never think this recipe is as easy to execute as it is. 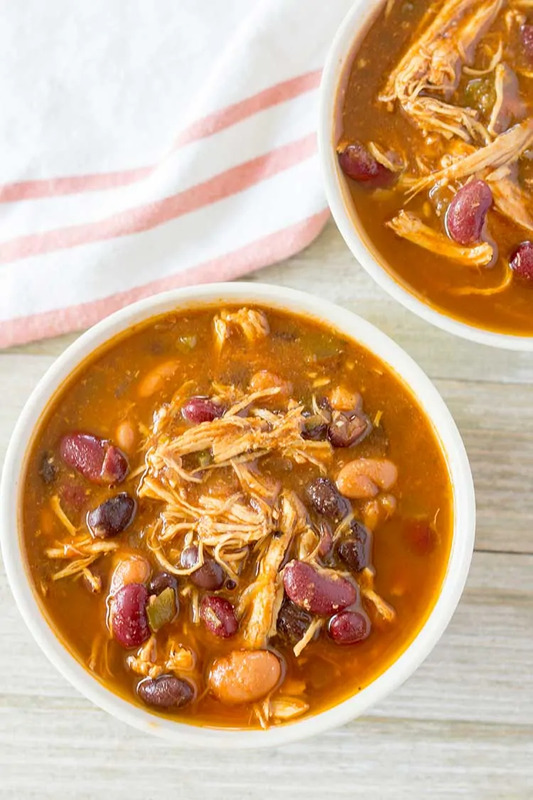 But there are only two steps in this process of this Instant Pot chicken chili, with an amazing result. That’s right. 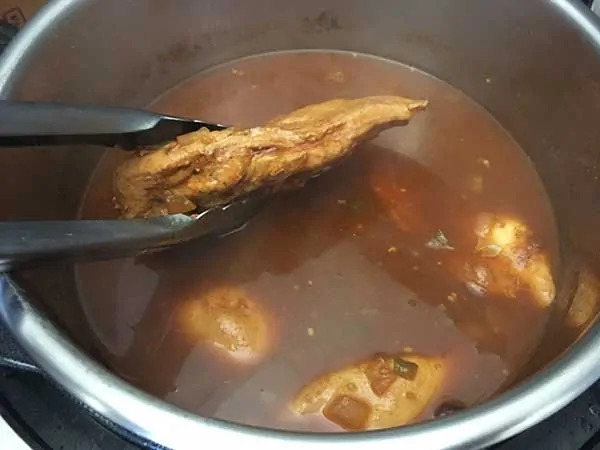 Just remove the chicken, shred it, and return it to the pot. Easy peasy. 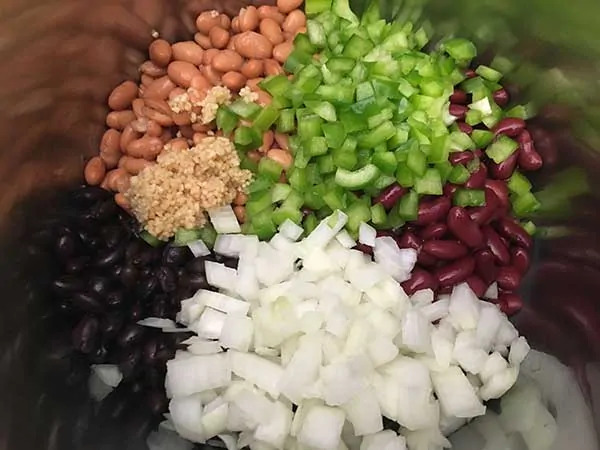 First add all 3 types of beans to pot. Then add the other veggies – onions, peppers, and garlic. Next add the spices – chili powder, cumin, oregano, bay leaf, and salt. 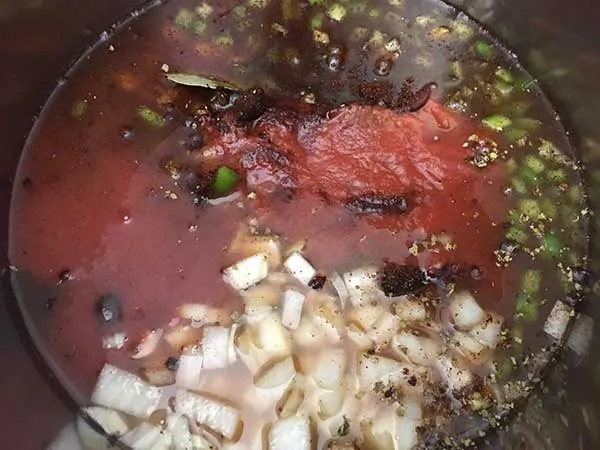 Now, add your liquid components – chicken broth and tomato sauce. …making sure they are submerged in the liquid. Lock lid and cook for 15 minutes at high pressure. …and transfer them to a large mixing bowl. 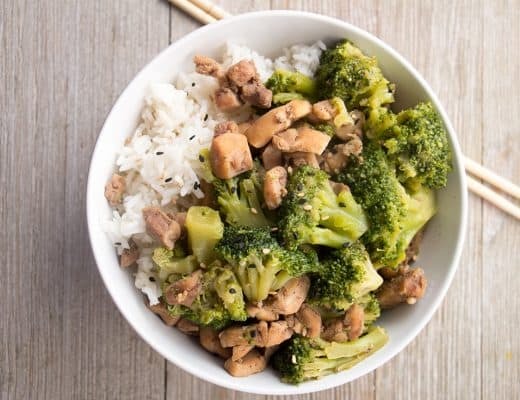 Using 2 forks, shred chicken into bite-size pieces. …and let set for as long as you can, but at least 10 minutes. 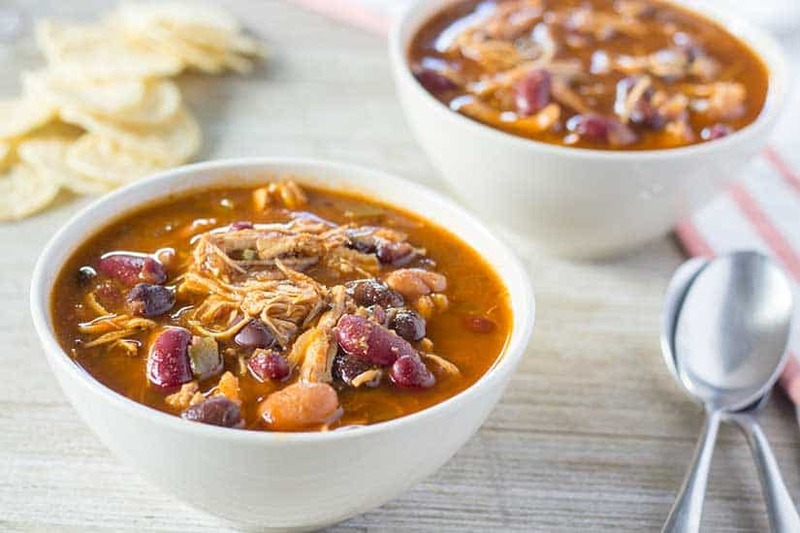 ★ Did you make this Instant Pot Chicken Chili? 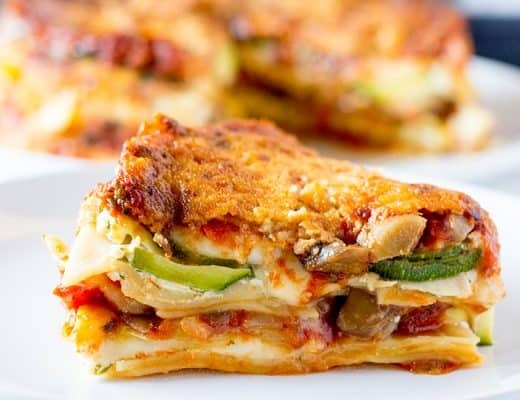 This recipe couldn't be any easier to execute, with an amazing result! 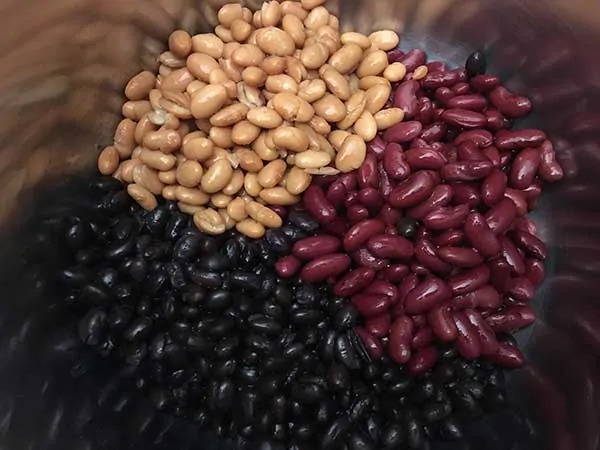 First add all 3 types of beans to pot. Then add the other veggies – onions, peppers, and garlic. 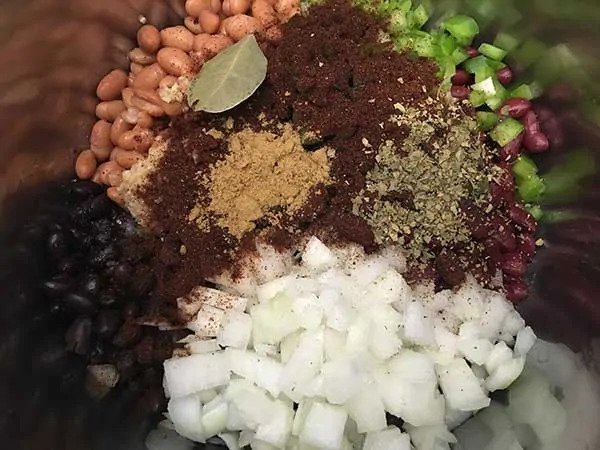 Next add the spices – chili powder, cumin, oregano, bay leaf, and salt. 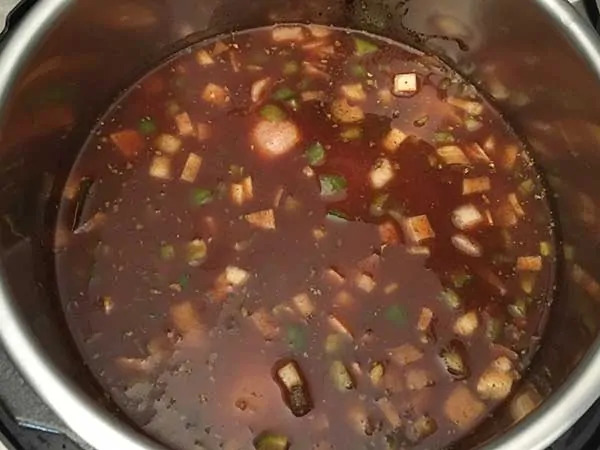 Now, add your liquid components – chicken broth and tomato sauce. Give a good mix. 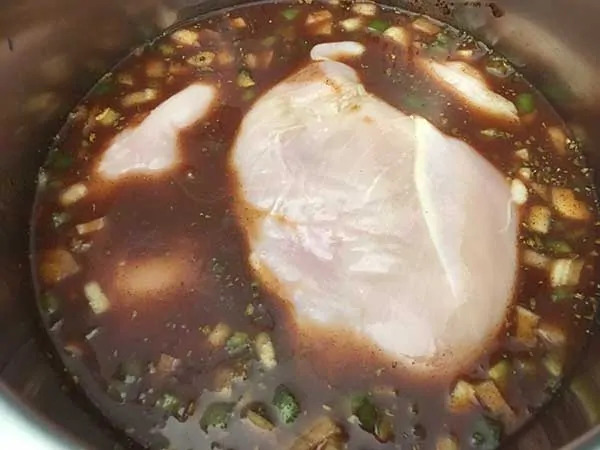 Finally, add chicken breasts, making sure they are submerged in the liquid. 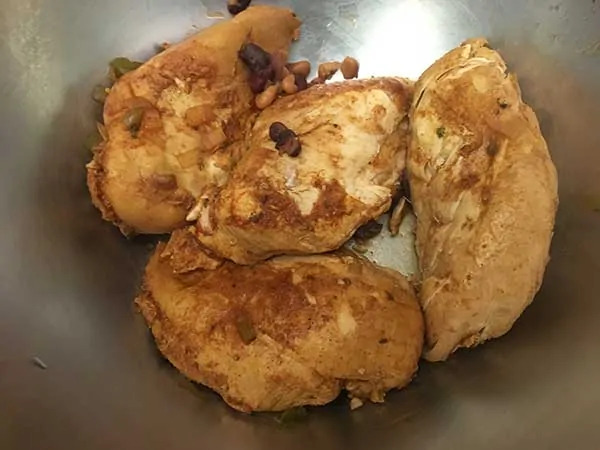 Remove chicken breasts and transfer them to a large mixing bowl. 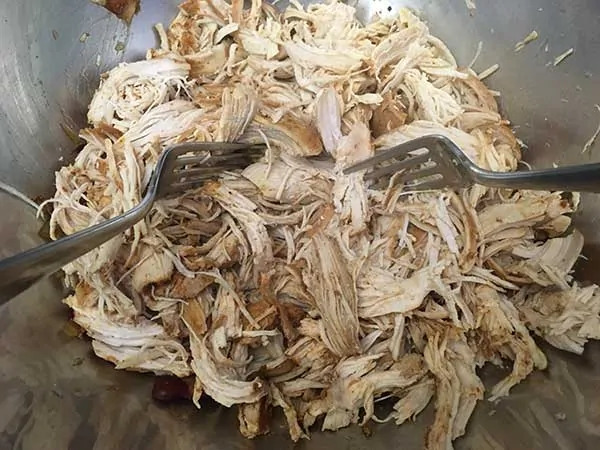 Using 2 forks, shred chicken into bite-size pieces. 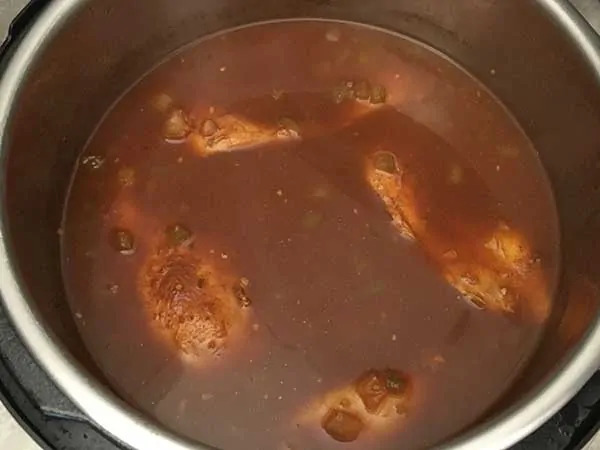 Return chicken to pot and let sit for as long as you can, but at least 10 minutes. Serve with your favorite toppings, or none at all. 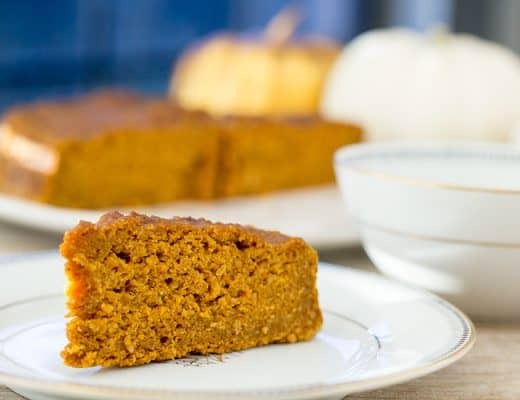 And, of course, some cornbread! 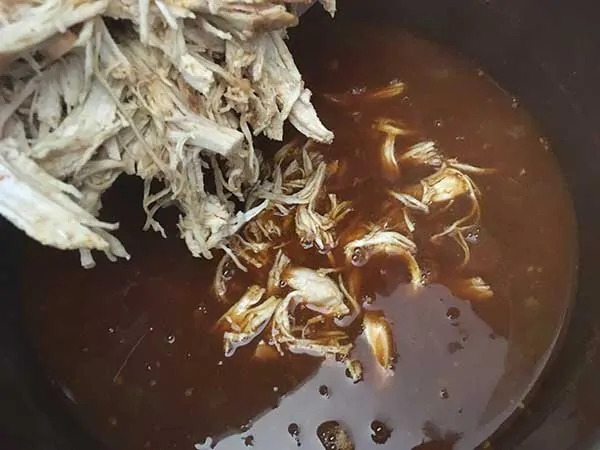 If I use a store bought rotisserie chicken, do I need to do any prep to it? Or just pull it off the carcus when it’s room temperature and use as is? Just use as is. Add it once the rest is done cooking. Thanks for sharing. 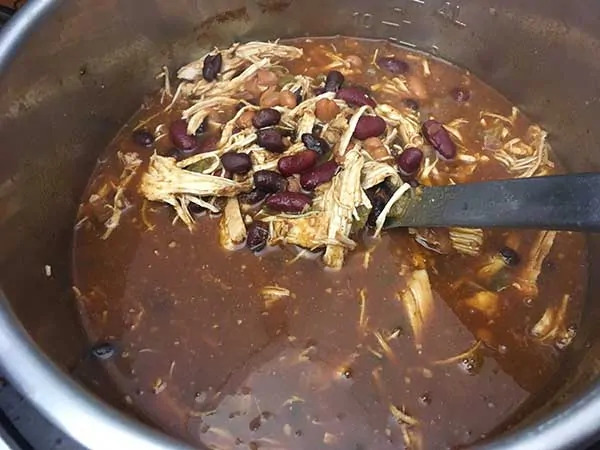 I made this mean the Chili Chicken, followed directions as they are written! And Wa-La, Good! 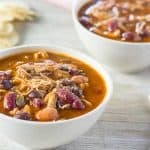 Now my go-to easy and delicious meal! Everyone loves it! My family loves this Chile. So easy.